Annie Jaffrey: Soft Bouncy Hair Tutorial & GIVEAWAY! Soft Bouncy Hair Tutorial & GIVEAWAY! Hi everyone! I'm back with a hair tutorial on this requested look, which I've been wearing in most of my recent videos. This was filmed before I left on vacation - ps. having a fabulous time :) Pictures and a little video to come soon! I used a 32mm curling wand to achieve these bouncy waves from the Bellami 6 in 1 hair curling kit which is any beauty lover's dream. It comes with all different sized barrels to create lots of different styles. The 32mm wand is the biggest barrel, and gives the loosest "softest" curls. This is one of my all time favorite hairstyles, and once you get the technique down, it shouldn't take more than 15 to 20 minutes! A few pictures of the finished look! 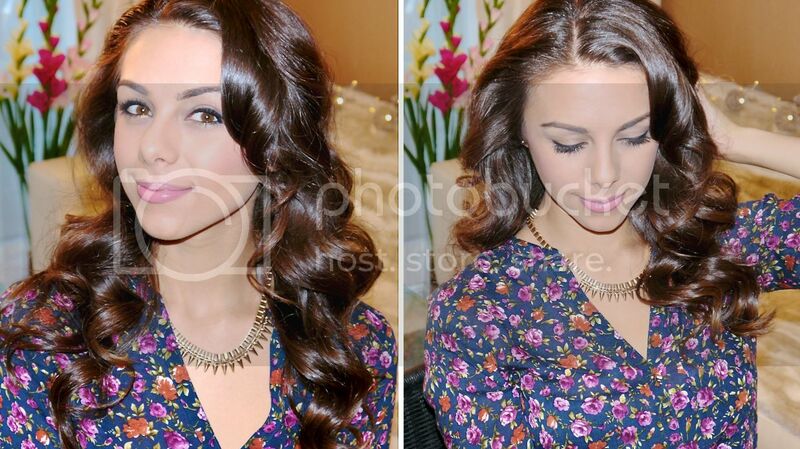 As mentioned in the video, I used a 32mm curling wand to create these glamorous waves. and to give a little life & volume to the bangs. Your hair is so adorable!! Can't wait to try this on my hair. Beautiful and elegant as always Annie! I love your hair color! This hairstyle looks gorgeous on you. What hair color are you wearing?